We have designed a reliable, durable, trustworthy, and cutting edge hardware solution for high traffic areas. 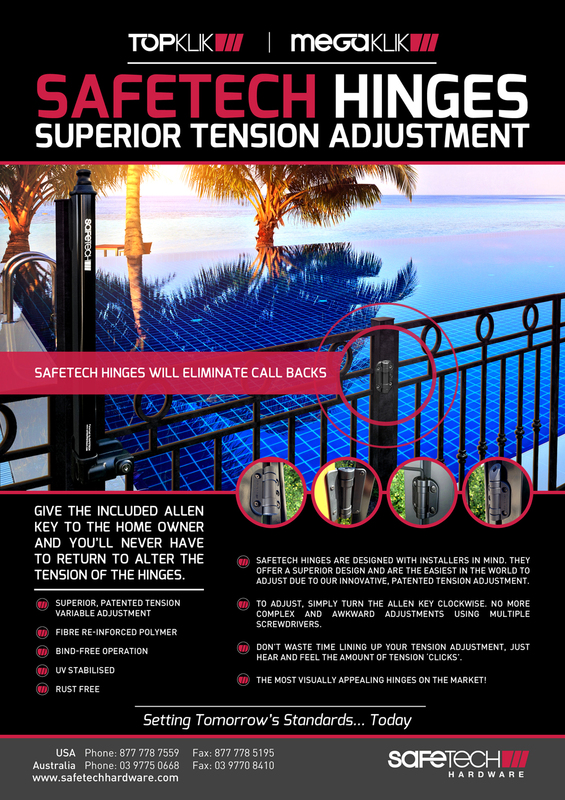 The heavy duty hinges by Safetech are preferred by installers because they are easy to install, and are the most dependable hardware solution in the market today. The cost to value ratio is better than any other similar product. 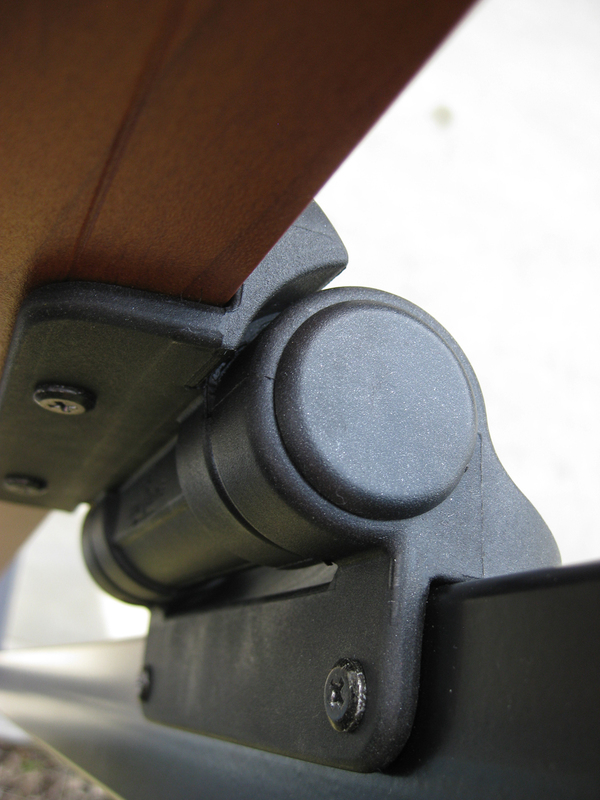 The heavy gate hinges are built to withstand all kinds of damage and can truly pass the test of time. The heavy duty hinges are made of polymer material and are reinforced by glass fiber. The heavy gate hinges are treated by UV rays and therefore have increased strength as compared to metal hinges. These heavy duty hinges do not rust, they do not corrode, they require no lubrication, and they can survive all kinds of weather without any need for maintenance. 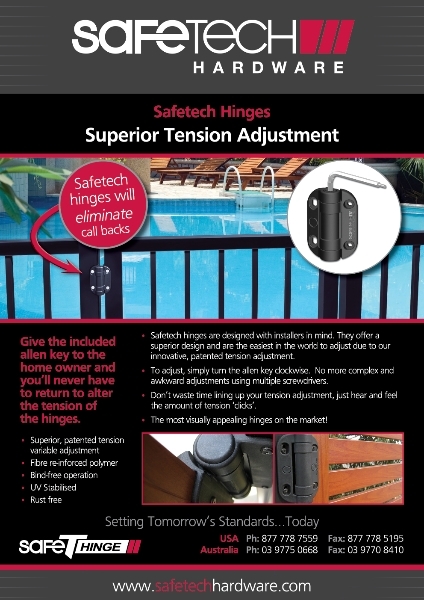 When it comes to self closing heavy gate hinges, compliance with child safety laws is of extreme importance. Our gate hinges are heavy duty but are safe to be installed and used in children’s playgrounds, schools, swimming pools etc. 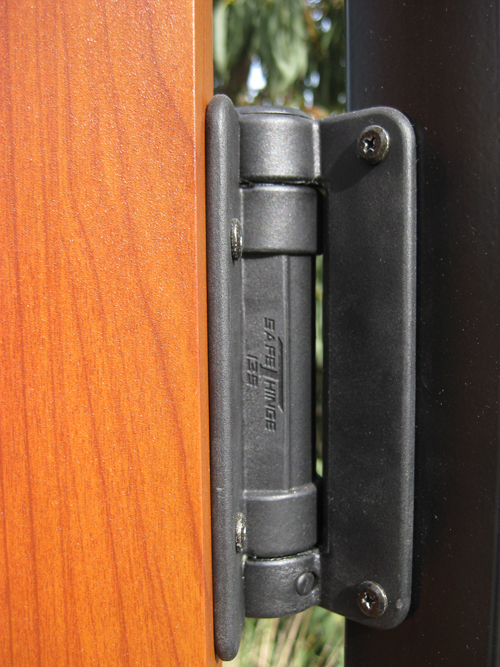 Our heavy duty hinges comply with all national and international child safety standards. When children are in the vicinity, you can count on them to swing on the gates and to put additional pressure on the gate. While other types of hinges may give in to additional load, our heavy gate hinges can bear the load without sustaining any damage. 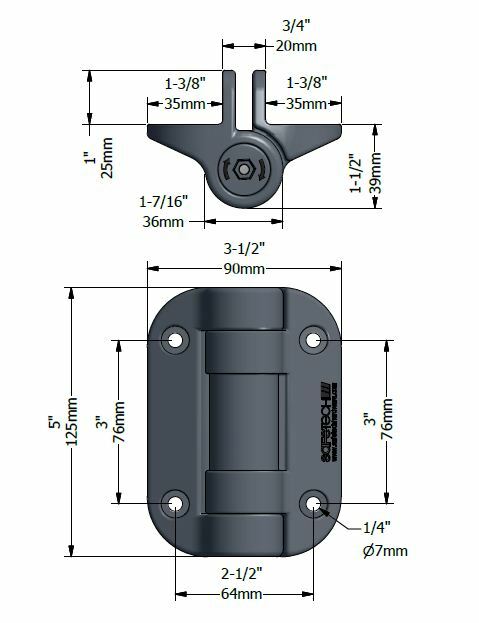 Our heavy gate hinges are made of polymer material which proves to be much more durable, and provides reliable self closing tension adjustment. The adjustment is according to closing speed, gate weight, and the resulting momentum generated by gate movement. 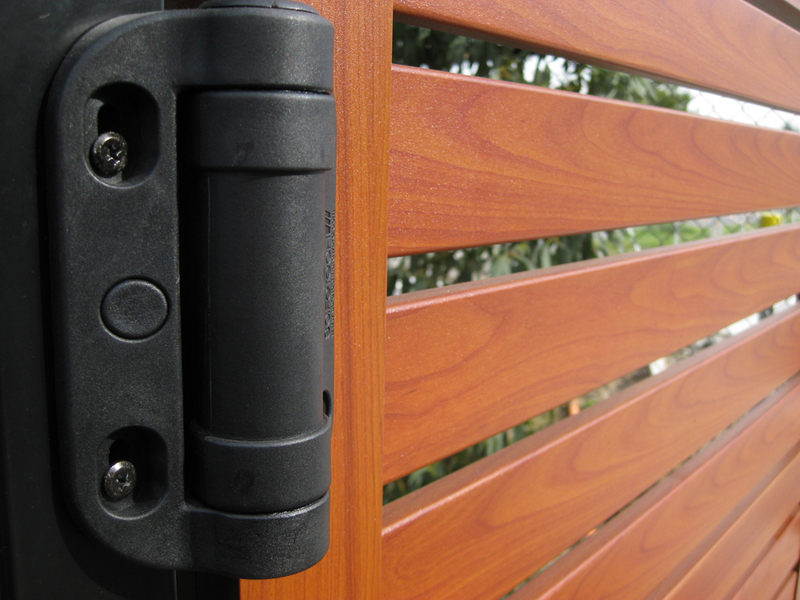 The heavy gate hinges can be easily installed and used with all types of fencing including aluminum and metal fencing. Our heavy duty hinges provide double-face fixing strength and are the safest investment you can make when it comes to hardware. 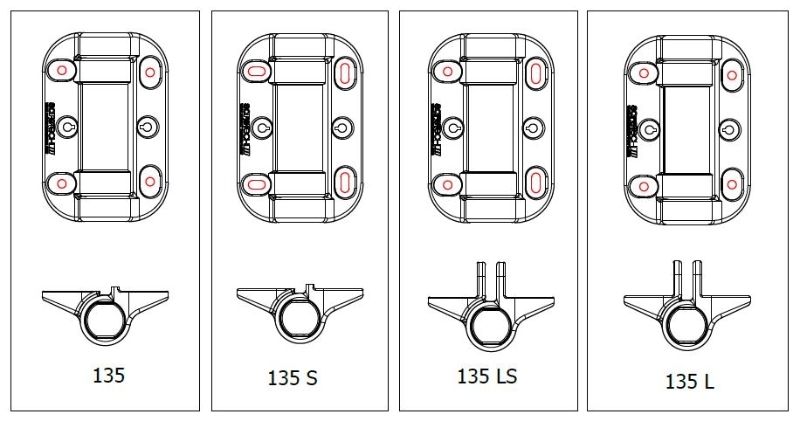 If you are looking for gate hinges of heavy duty nature, you have come to the right place. 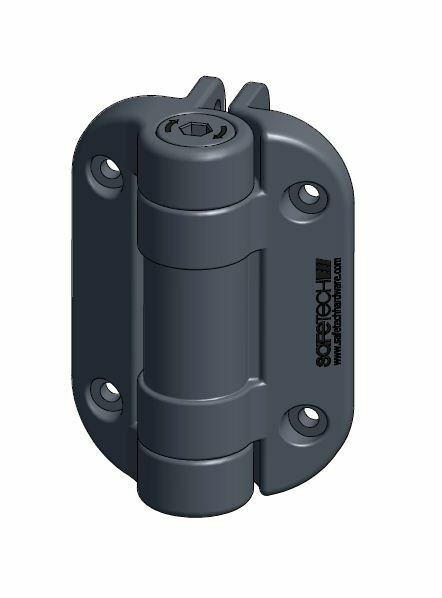 Heavy duty gate hinges by Safetech are ideal if you are looking for high quality heavy duty hinges that do not rust, are reliable and durable, and can be used in high traffic areas. Combining durability and modern design for a fair price is what our Standard Gate Hinges are all about, and we are confident that installers and end users will be satisfied.